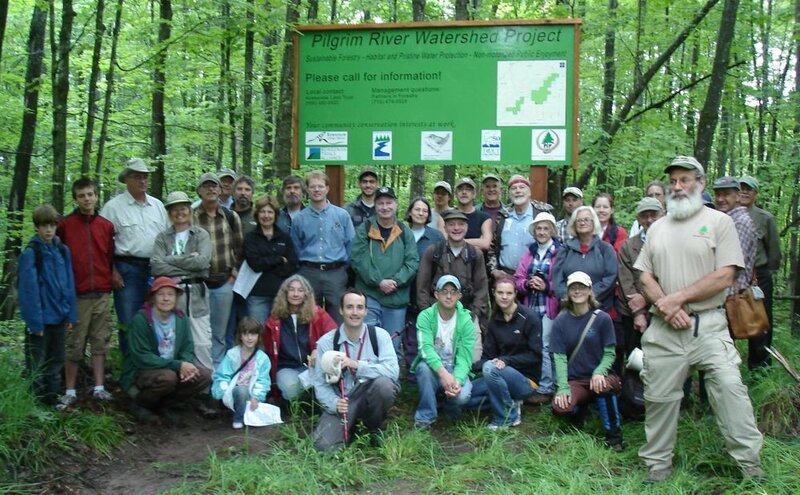 Northwoods Alliance was a charter member of the Pilgrim River Watershed Project in Houghton County Michigan. The project was begun in 2009 with a group of conservation partners including Copper Country Audubon, Copper Country Trout Unlimited, Keweenaw Land Trust, Keweenaw Trail Alliance, Partners in Forestry Coop and Northwoods Alliance. We offered financial, logistical and technical support to this great project for 8 years. Because of this collective effort there is about 1600 acres and 3.5 miles of Pilgrim River corridor protected for future generations. The 276 acre Pilgrim Community Forest was completed in 2014 and the remainder was protected under the Forest Legacy program at year end 2017. We are proud to have been part of this significant effort in Upper Peninsula conservation and once again appreciate the benefits of LWCF to our communities. For more on the Pilgrim project see: www.pilgrimriverwatershed.org, www.partnersinforestry.com, Keweenaw Land Trust, or contact us.